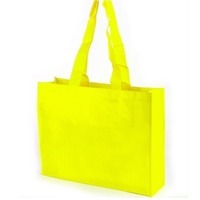 Product name : Non-Woven Wine Bag Thickness : 80 to 120 GSM Colour : Wide Range of colour available Printing : Screen Printing, Flexo, Offset Size : As per Size chart, Customised Place of Origin : India Material : Non-Woven 100 % Recyclable Style : Handled Price : Factory Price Custom Order : Accept Brand Name : N23 International Packaging Details Packaging: We can provide all type of packing as per the requirement of the customers. In normal case we can provide export quality standard packing. 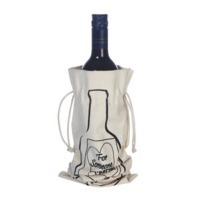 Catering to the needs of our International clients, we bring forth Non-Woven Wine Bag. 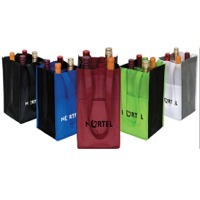 The Non-Woven Wine Bag is made from high grade non-woven fabric. 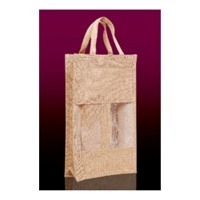 Our Non-Woven Wine Bag is easy to carry and environment friendly. The Non-Woven Wine Bag is available in highly attractive range and colours. Short on time? Let wine-bags sellers contact you. These are perfectly designed for carrying and storing wine/bottles and are offered in varied designs and sizes. COMPANY NAME:	Indarsen Shamlal Pvt. Ltd. FOUNDER:	Late Indarsen Agarwala INCORPORATED IN:	In the year 1948 BUSINESS TYPE:	Family business MATERIALS USED:	Jute, cotton and other natural fabrics. PRODUCTS MANUFACTURED:	All types of bags made of natural fabrics like jute & cotton. OTHER PRODUCTS:	Hessian (Burlap) natural, coloured & printed, Geo-textiles, jute yarn, ropes, tapes, non-woven felt and all other jute products. VARIATIONS: Customised products and packaging ready to sell in stores. PRICING:	Competitive rates with quality. TARGET:	Work with true dedication Offering wide range of services to clients To execute orders on time Ensure quality in the products Time delivery, and Ensure 100% satisfaction for long-term business relationship OTHER GOALS:	Providing one-stop solutions for all jute and cotton related enquiries.